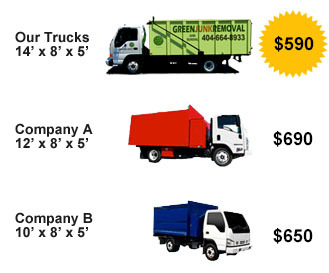 We specialize in workstation cubicle removal and recycling in Gwinnett County Georgia area. Whether you have 10 Herman Miller workstations, 50 Teknion call center cubicles, or 400 Steelcase cubicles you can count on our professional and well trained staff to remove them for you. We are a one stop shop. Whether you need us to haul just a few desks and chairs or you need our office liquidators to completely clear an office space of workstation cubicle panels, desks, chairs, credenzas, bookshelves, file cabinets, computers, printers, etc. we can do the job.